[09/02/2015 @ 12:17 PM] Open this itinerary on: Priceline, Orbitz, CheapTickets, BookingBuddy, Travelocity, Expedia, Hotwire. [09/03/2015 @ 12:23 PM] Fare gone. Removing from deal list. [09/10/2015 @ 5:45 PM] Deal is back. Price increased to $127, was $116. [10/01/2015 @ 8:59 AM] Updated post. AA / SWA matching most midweek flights. Little availability left. [10/02/2015 @ 7:52 AM] Fare gone. Removing from deal list. [10/08/2015 @ 9:07 AM] Available again via United (MIA) and Southwest (FLL). [10/16/2015 @ 8:00 PM] Still available. More availability for MIA, less for FLL. [10/30/2015 @ 6:52 AM] This is mostly sold out. Removing from deal list until more discount fares are published. The prices and details in this post were accurate when this post was last updated (see time-stamps above). Prices and availability will eventually change, given enough time. 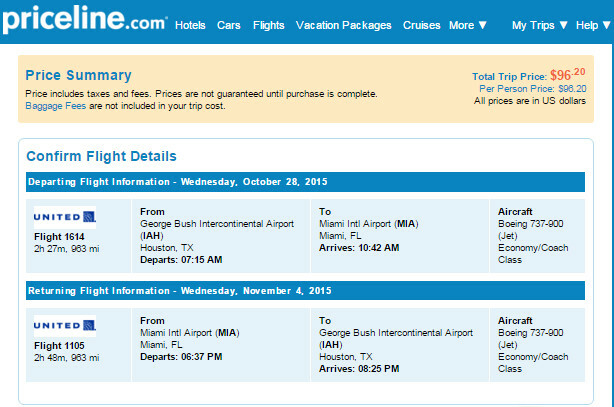 AA and UA have round-trip tickets from Houston (IAH) to Fort Lauderdale (FLL) or Miami (MIA) for $97, NONSTOP. Flights TUE/WED/SAT from October to February’2016. No Holiday weeks. Fare is reversible. See the Flight Details section of this post for example booking dates. Note: Fort Lauderdale is on United and seems to have less availability. 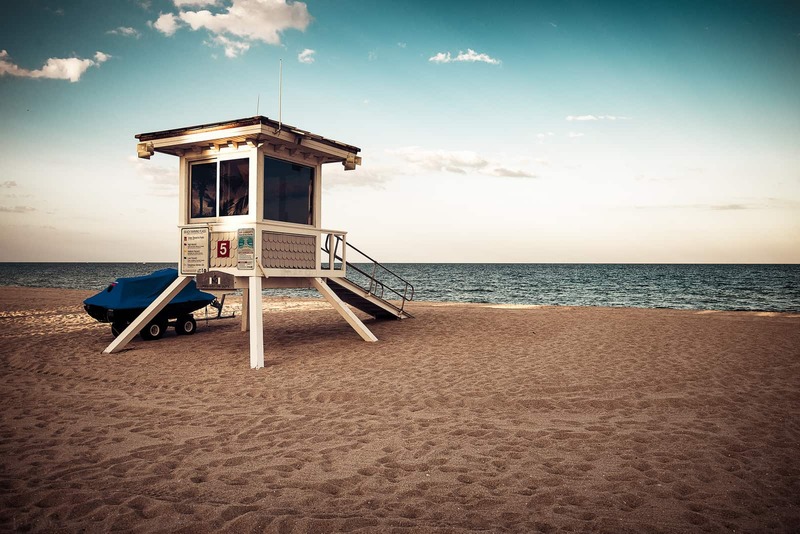 If you don’t find the dates you want in Miami, try Fort Lauderdale, these airports are only a 30 minute drive away from each other. Update: Southwest seems to be available on most TUE/WED/SAT flights. Use their “Flexible Date” tool to see a calendar of fares on their site. Southwest flies from Hobby (HOU) to Fort Lauderdale (FLL). Orbitz and CheapTickets have a search tool that looks for flights 3-days before and after the dates you’ve selected, you should use it if you have a general idea of when you want to travel, but want to see other prices for other dates close to the ones you’ve selected. To save the most money, be sure to apply the travel coupon codes available at the bottom of this post. Booking your trip as a Flight + Hotel package will probably save you more money than if you were to book separately. Vacation Packages on Travelocity and Priceline are usually better than what is offered directly by the airline, so be sure to compare them all to get the best price. Note: OTAs such as Orbitz and Travelocity allow free cancellation without penalty before 10 PM central time the day after you purchase. As deals sell-out or expire quickly, this policy will allow you to “lock-in” the cheap fare while you sort out a plan. Just keep in mind that after 10 PM the next day, you will not be able to cancel without the regular penalty. United and Delta also allow free cancellations within 24-hours while American only allows you to “Hold” a ticket (without paying) for 24-hours. Keep in mind that once you pay for a ticket on AA.com you can’t cancel it without a change fee or penalty, even if was purchased less than 24-hours ago. The Department of Transportation doesn’t enforce 24-hour free cancellation on tickets less than 7-days away from departure, so some airlines and OTAs will allow it while some will not. On Orbitz, you can easily see if your ticket allows a free cancellation, just look for “FREE Cancel” next to the price of the ticket. Flight Availability: Houston to Miami as of 8:00 PM on 10/16/15. Flight Availability: Houston to Fort Lauderdale as of 8:00 PM on 10/16/15. I was able to pull this fare up on Priceline and Orbitz, it should also be available on other booking sites. Screenshot taken at 8:50 PM on 10/16/15. Availability: See calendar. 7-day advance purchase required. Example Dates: Fort Lauderdale (Priceline / Orbitz) Dec 09 – Dec 16 / Other dates: Try the +/- 3-day search tool on CheapTickets or Orbitz. 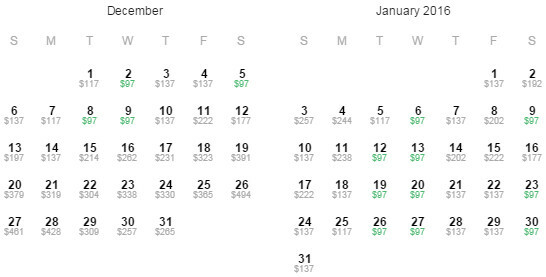 Example Dates: Miami (Priceline / Orbitz) Nov 07 – Nov 11 / Other dates: Try the +/- 3-day search tool on CheapTickets or Orbitz. Open this itinerary on: Priceline, Orbitz, CheapTickets, BookingBuddy, Travelocity, Expedia, Hotwire. [Escape Houston on Twitter] – get real time tweets on travel deals such as this one. [Subscribe to Escape Houston] – get an e-mail newsletter and notification whenever a new flight deal is posted. [Follow Escape Houston on Facebook] – the best way to keep in touch with us, other than this blog. [Follow Escape Houston on Google+] – If you are on Google+ please add us to your circle. We have virtually no following there. [Cheap DFW] – Airfare and travel deals leaving from Dallas / Ft. Worth (DFW / DAL). Subscribe to the Escape Houston Newsletter and you will receive an e-mail when a new travel deal is posted! COPYRIGHT 2012-2019 ESCAPE HOUSTON. ALL RIGHTS RESERVED.